Teeth may become discolored in a number of ways such as age, tobacco, certain foods and beverages. Simple toothbrushing, including using special toothpastes, will do little to whiten teeth. 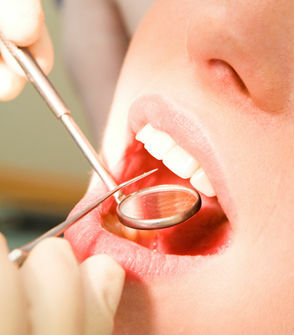 Professional cleaning with an oral hygienist will help, by removing superficial staining. Many scientific studies have shown professional tooth whitening, using hydrogen peroxide, to be safe and effective in whitening teeth. We offer an "at-home" tooth whitening system. This involves using a bleaching tray custom made for your mouth, and bleaching gel. We will show you how to use these products to achieve the result you desire. This system means that you control the final shade of your smile, from one to several shades lighter. Tooth whitening does not involve any pain (occcasionally some transient sensitivity may be experienced) and avoids any extensive dental treatment required for other aesthetic procedures.